1019+/-sq ft (300 sq ft loft not incl in county record). 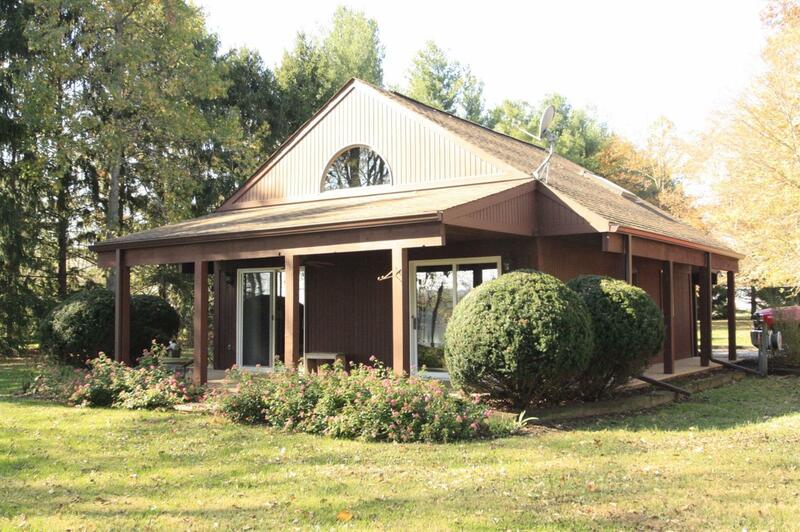 1-2 bdrm cottage w/294 ft Ohio River frontage! 24x20 covered deck, 74x9 carport, 40x30 metal outbuilding w/heat, concrete flr, water & elect. Vaulted ceilings, appliances incl, beam ceilings, natural woodwork, ceramic tile. Very well-maintained! (Propane paid in full March 2017.) No laundry! NOTE: This property was sold on 12/20/2016 and is no longer available. The details listed below are believed accurate to the date of the sale and are subject to change.